“Another night of incredible music, art, fashion & film from the dark side of indie… hosted by Mishkin Fitzgerald. MISHKIN FITZGERALD – Known for her role and singer and pianist in the punk-rock-orchestral band Birdeatsbaby, Mishkin’s solo work has been described as “a mournful take on Patrick Wolf and Regina Spector via mid-period Depeche Mode”. VIENNA DITTO – Captivating, eccentric and above all amazing to watch. Imagine Portishead doing a Tarantino soundtrack. 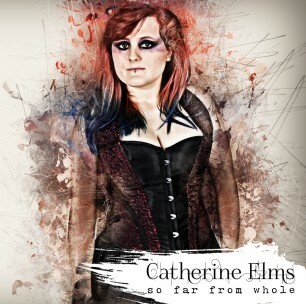 CATHERINE ELMS – Catherine Elms is a singer/songwriter/pianist, whose music combines heavy rock, dark cabaret, emotionally-charged melodies and idiosyncratic lyrics. Tickets £7 – buy online here.